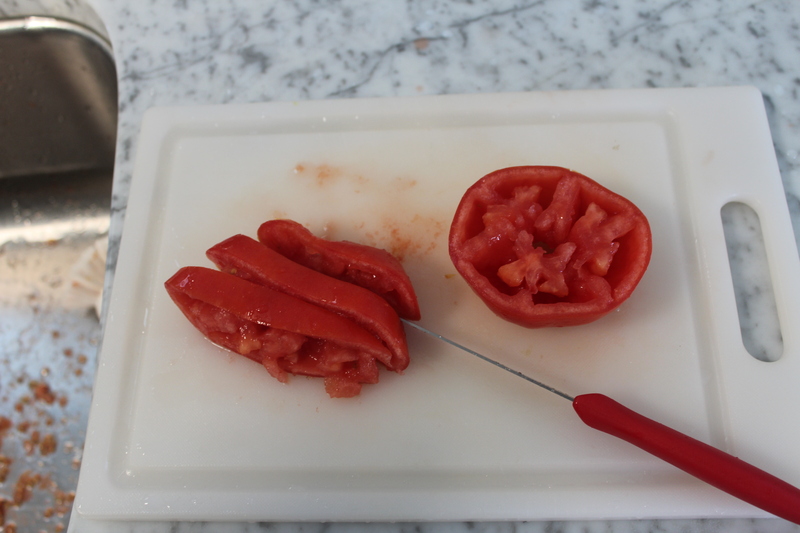 I recently changed the way I dice tomatoes and I just HAVE to share it with you. 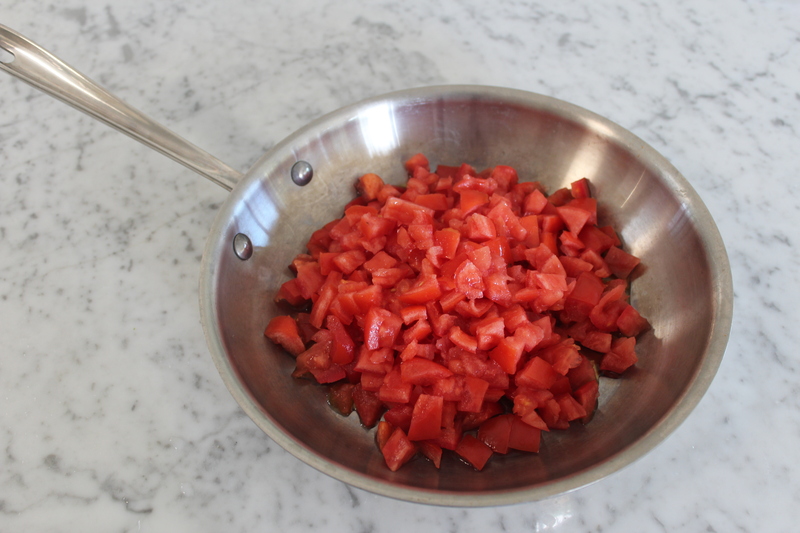 Whether making salsa or a salad or (my favorite) quick pasta sauce, this is the best way to get the kind of tomato chunks you are actually looking for. 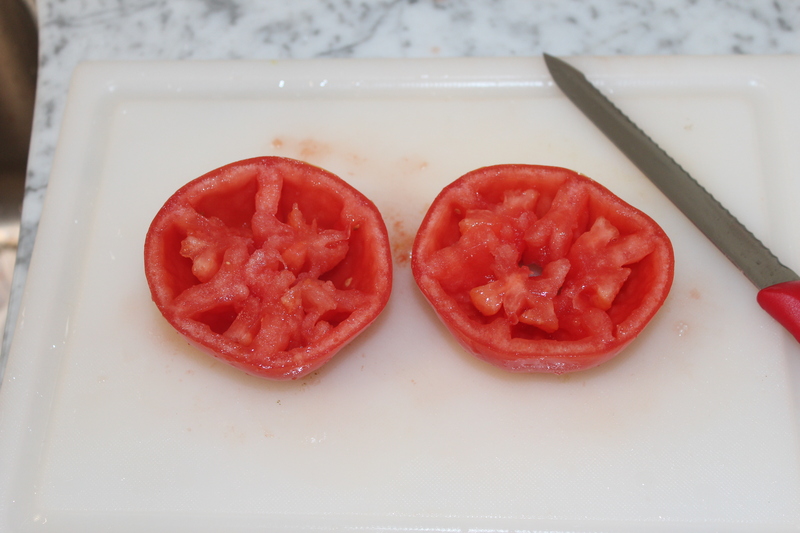 First, cut a V shape around the stem. 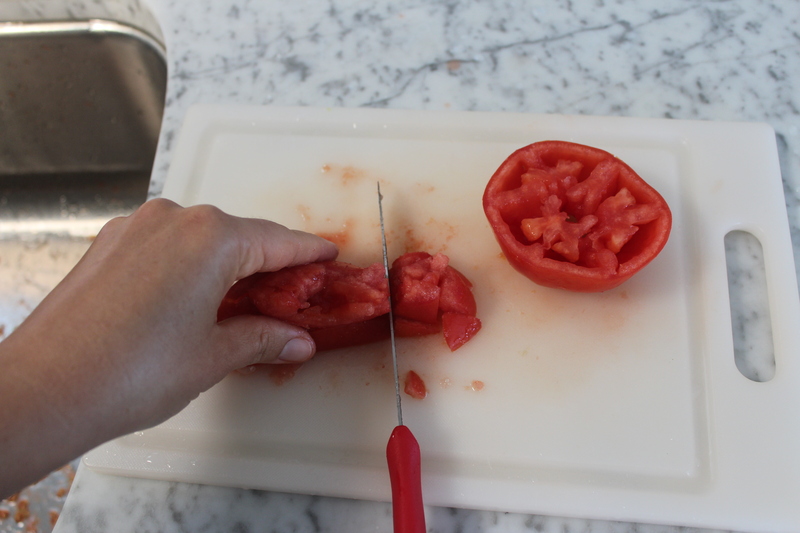 This is basically what you will do anytime you are working with a tomato, dice or not. 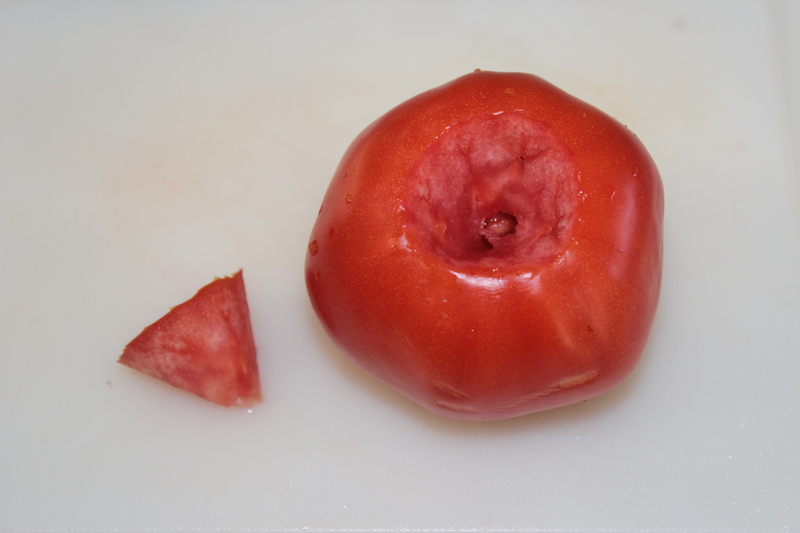 Next, cut a small slice off the bottom just to get a little extra skin off, and slice the tomato in half along its “equator” line. The next part is my favorite. 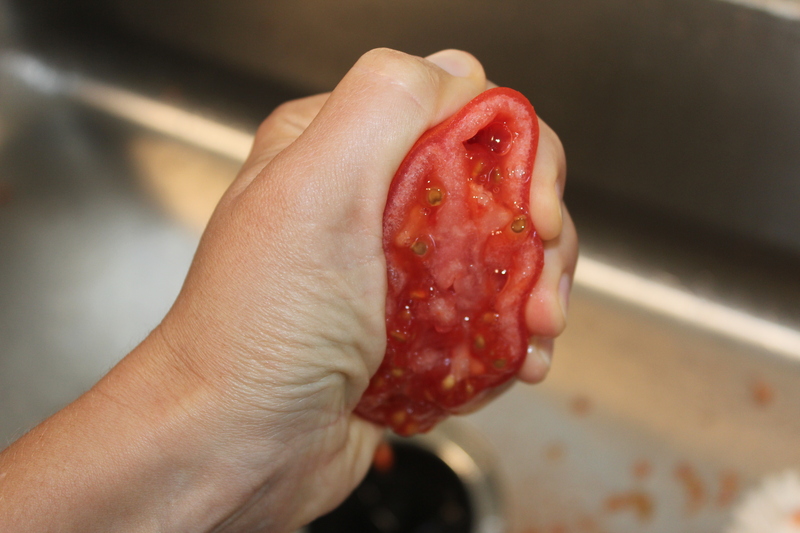 Squeeze the tomato over the sink or garbage to get all the goo and seeds out. 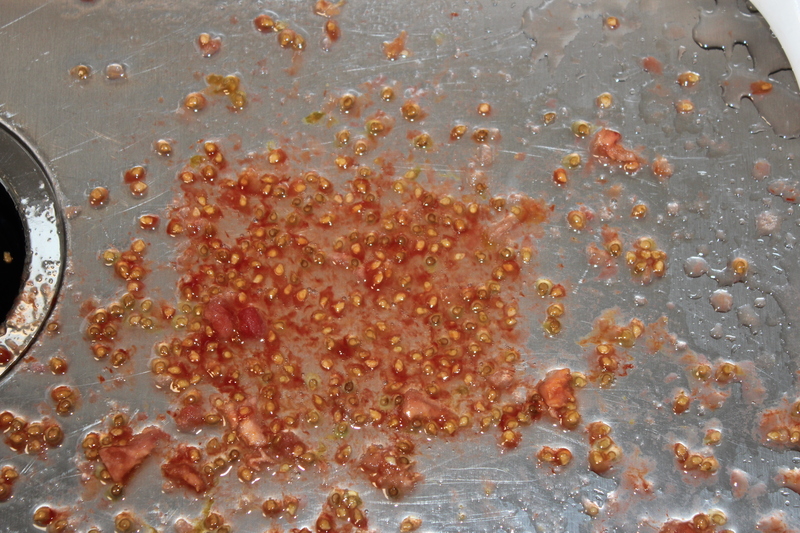 Believe it or not, the juicy goo really doesn’t do much for your recipe and the seeds make things bitter. Squeeze hard, it doesn’t hurt! And here are all those seeds! 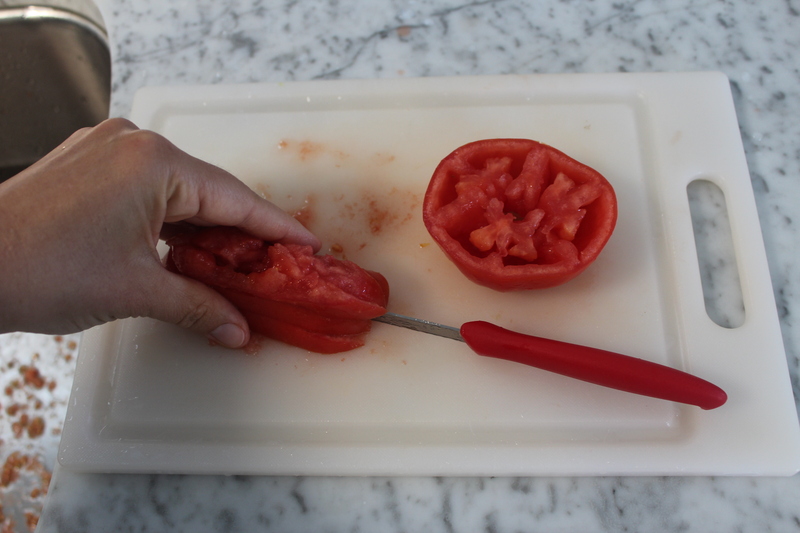 Next, flatten the tomato again and make 2 cuts across parallel to the equator cut you made before. You will end up with 3 flattened rounds. 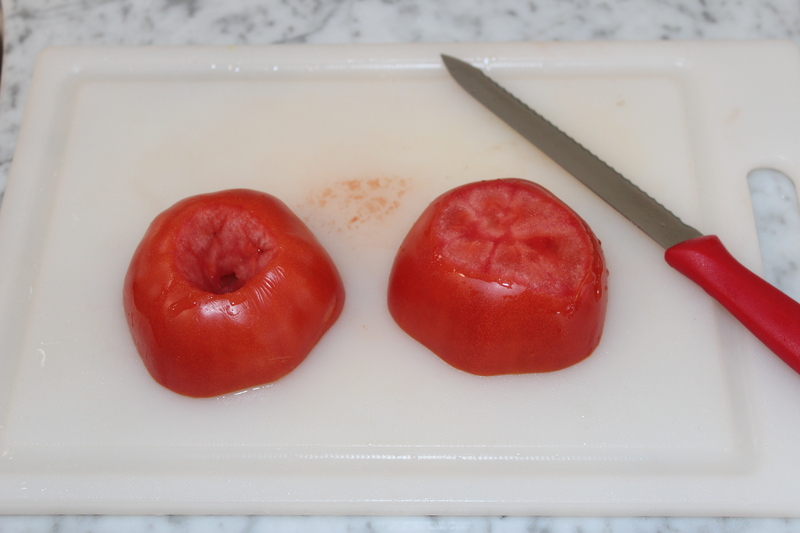 Finally, cut across the tomato so you end up with a nice, clean dice. For my quick tomato sauce, I just cook about 4-5 tomatoes with the same number of garlic cloves, pressed, and some olive oil and salt. Cook over medium for about 15 minutes. That’s it. Gotta run. 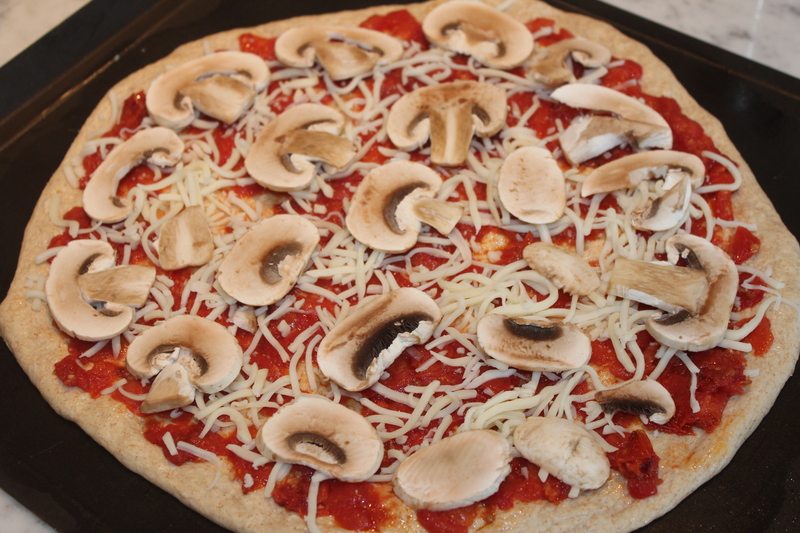 I have some homemade pizza to eat! This entry was posted in Entertaining, Favorite Things, Quick Tips, Recipes and tagged cooking tips, Pizza, tomato by organizedohana. Bookmark the permalink. Great tip! Thanks. Will have to try your pizza sauce.